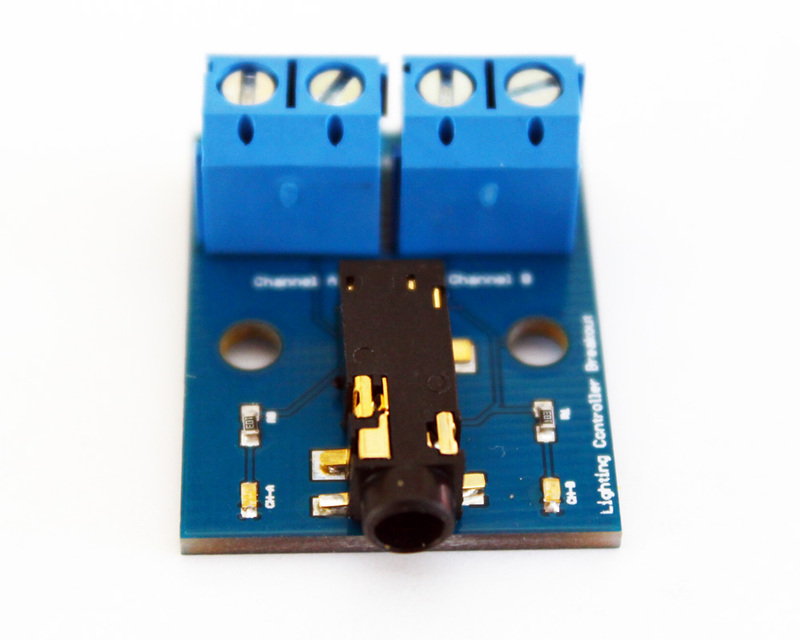 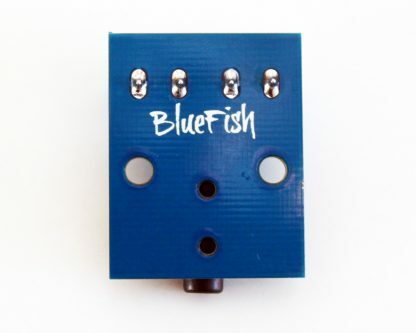 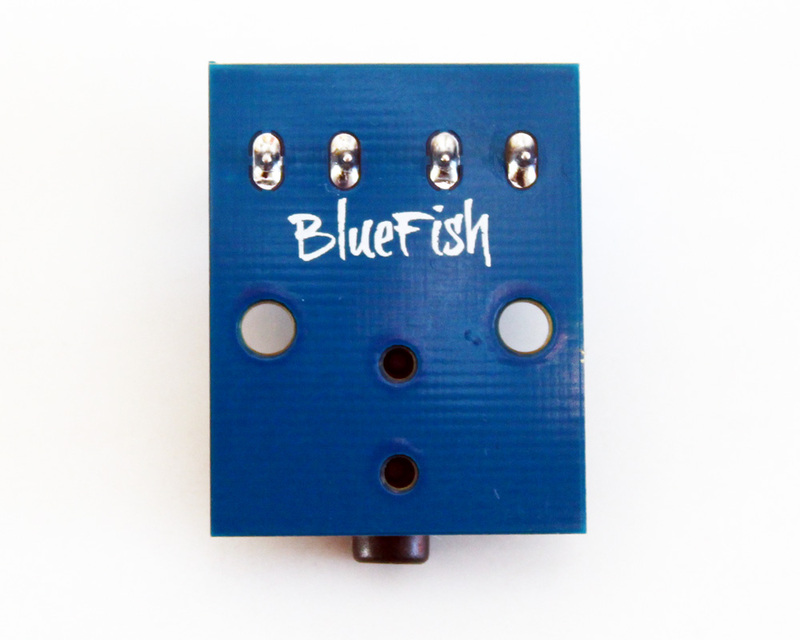 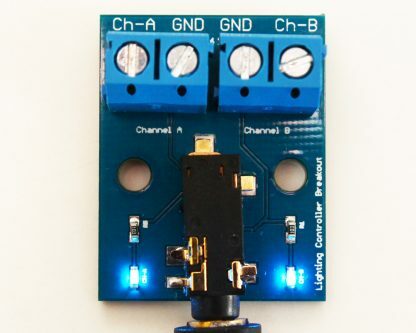 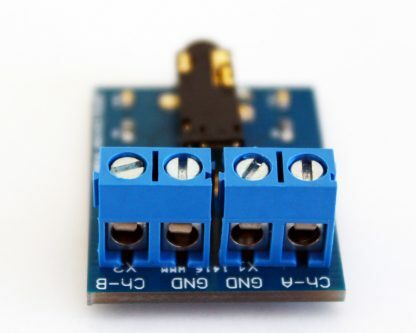 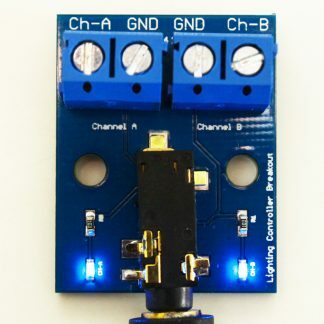 For connection to DIY LED setups, you can use these breakout boards to make connection a snap. 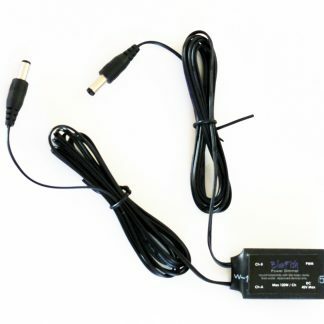 A female 3.5mm audio jack accepts the control cable from the lighting controller. 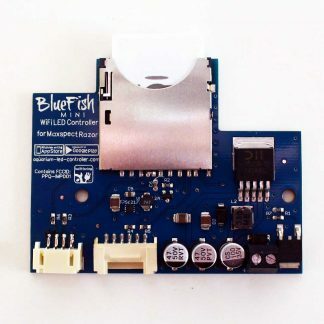 Screw terminals allow easy connection from the board to your drivers. 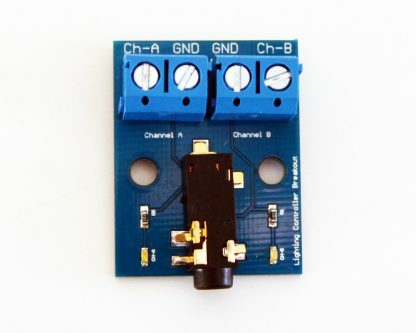 2 channels per board. 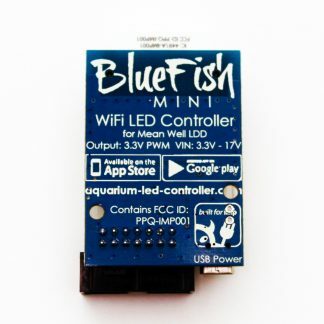 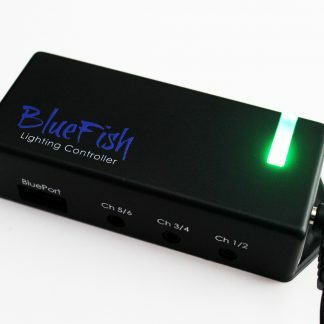 Blue indication LEDs show the current output level. 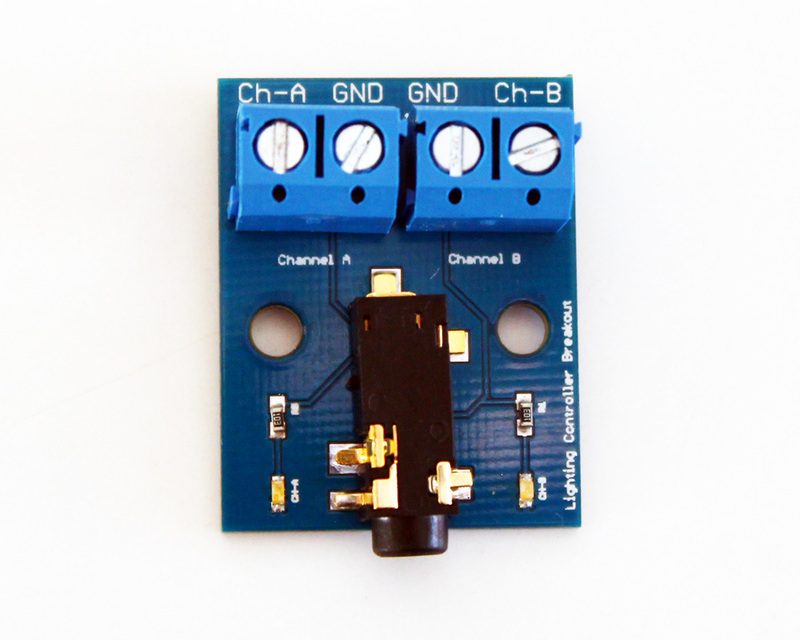 Mounting holes in the board allow secure placement.